The M-Audio Code 25 Controller Keyboard is an innovative new 25 semi-weighted key MIDI controller keyboard, which combines the best of both MIDI controllers and keyboards to create a unique and fully comprehensive MIDI controller. 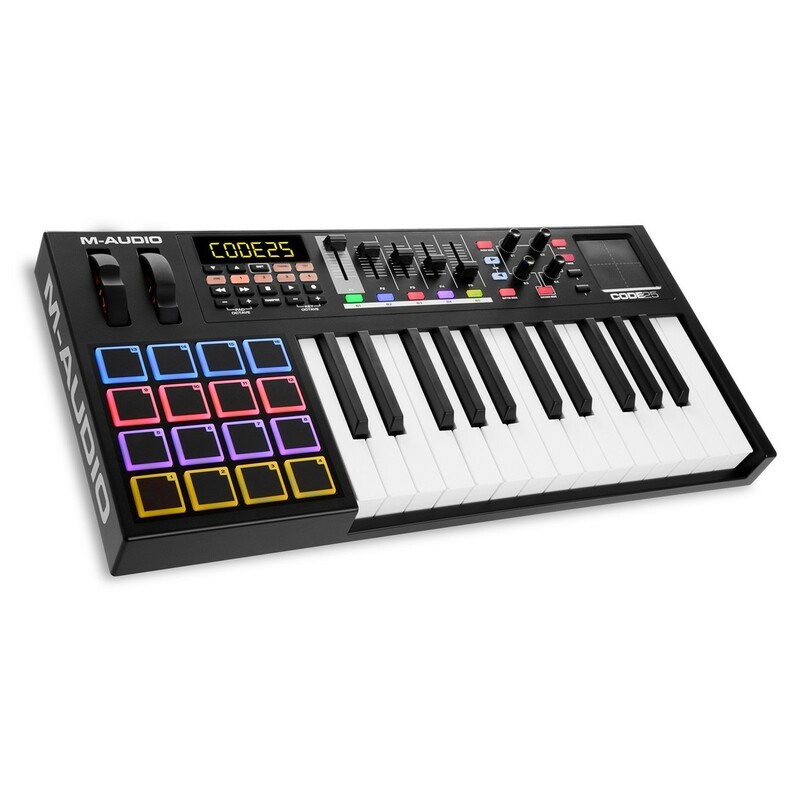 Featuring a range of controls such as 16 LED backlit drum pads, modulation wheels, faders, rotary knobs and X/Y touch pad the Code 25 can directly connect to compatible DAWs via USB or to other MIDI instruments via the MIDI In/Out connections. The Code 25 Keyboard is finished with a sleek, black paintjob, building on the success of the original white version. 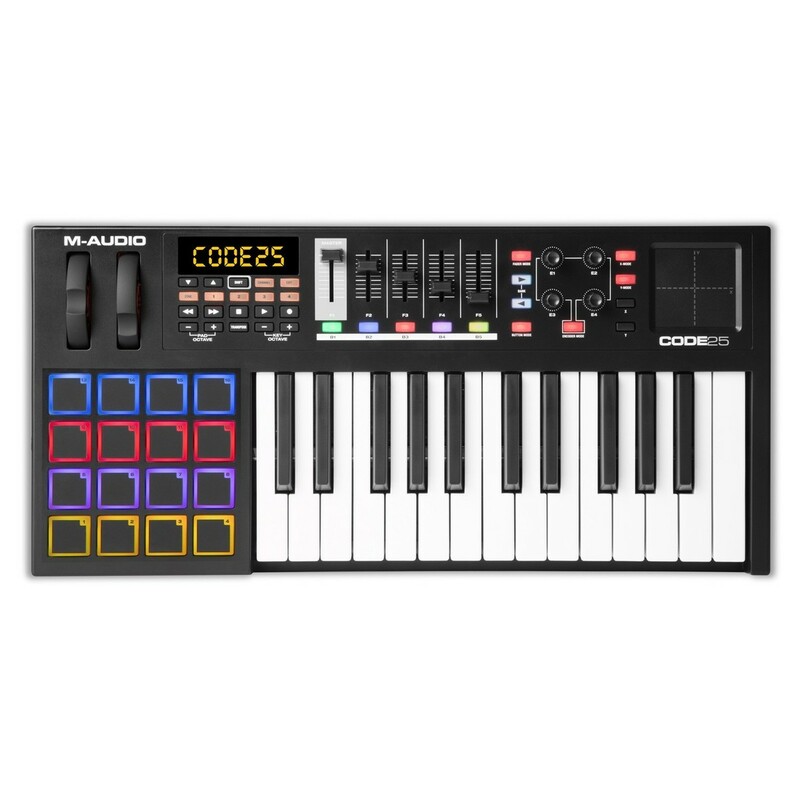 The Code series from M-Audio now features new editor software, providing a visual and intuitive way to edit all the various controls and functions within the Code keyboards. 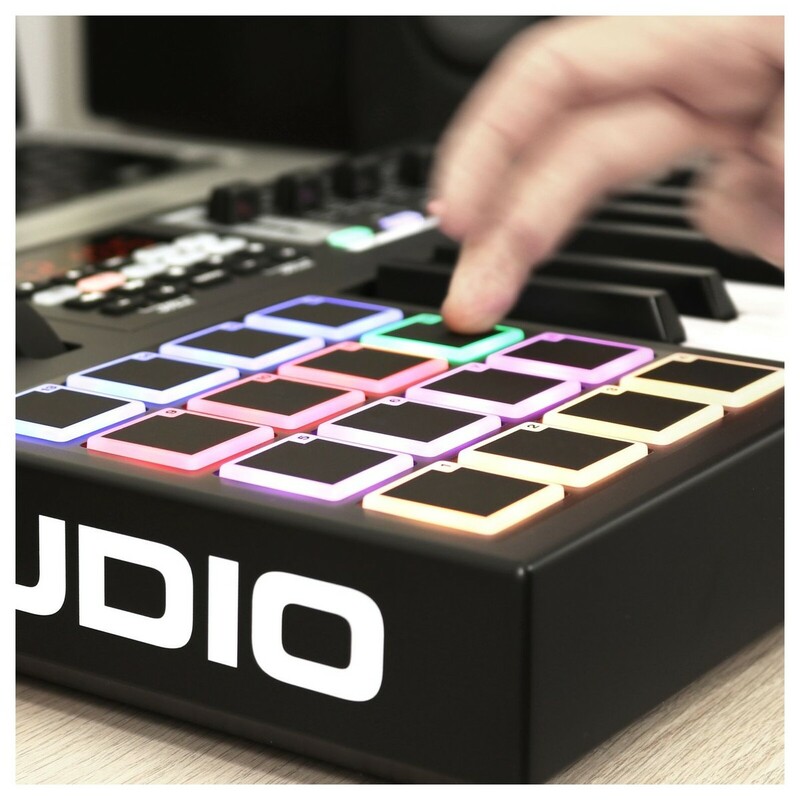 You can use the editor software to do everything from send MIDI messages to and from the Code keyboard to editing the parameters for a type of control your Code unit. The highly intuitive control panel gives you access to a wide range of controls and functions, as well as allowing you to edit and save presets with ease. This gives you an expanded control over your Code keyboard, allowing you to edit and control virtually every aspect and parameter found on the Code. 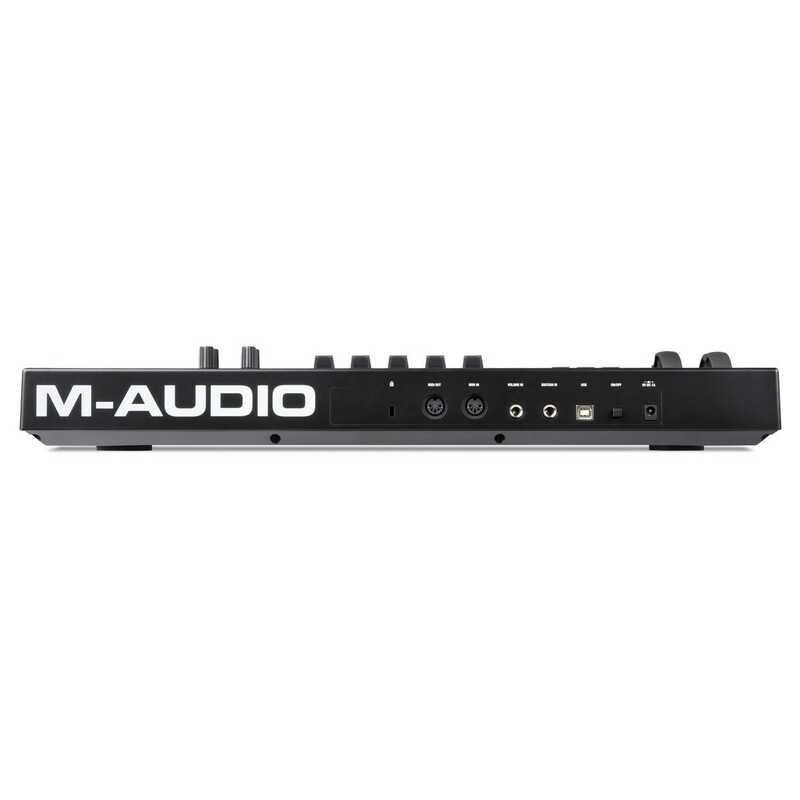 The M-Audio Code range features a wide range of parameters and controls, to provide you with all the tools you will need to improve your workflow and creativity. There are a range of assignable parameter controls including multiple banks of buttons, pads, faders plus the standard pitch bend and modulation wheels to craft and edit your sounds. 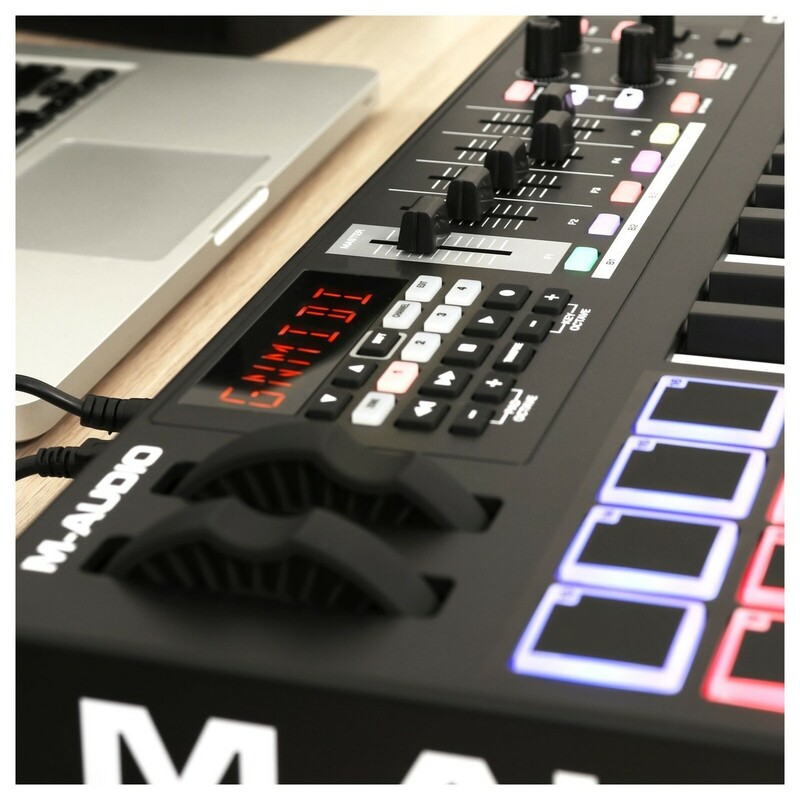 The newest addition this line of M-Audio controllers is the integrated X/Y Touchpad, which gives you another way to interact with your library of sounds. Use the X/Y Touchpad to affect everything from modulation to the volume of an effect on a sound. 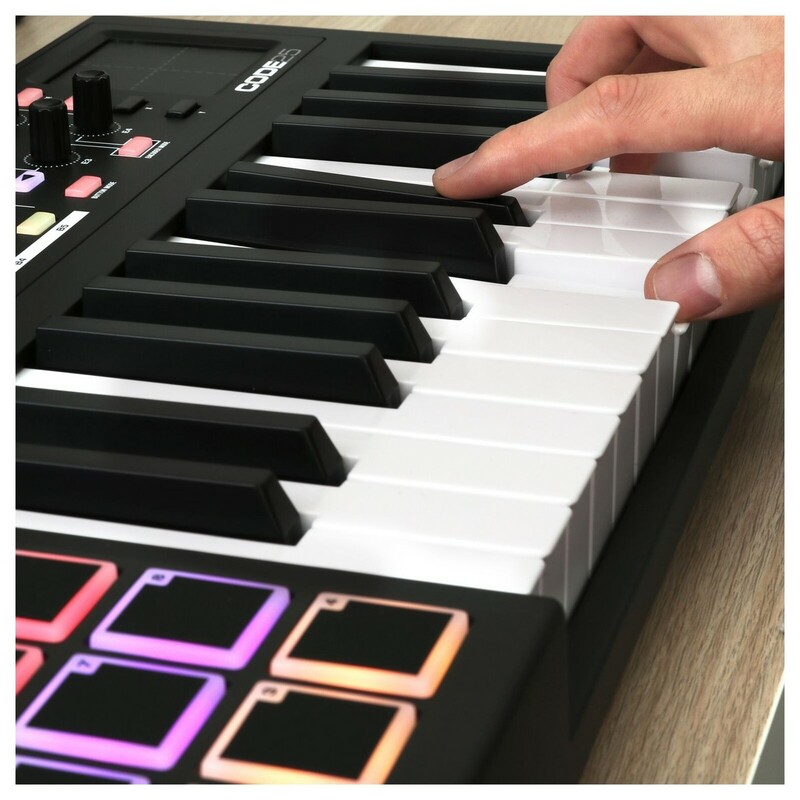 The keyboard can also be split into four assignable zones for added versatility, allowing you to trigger up to four different instruments in their own separate zone.